The day will come when the hawk will turn into a dove, tanks into tractors and warplanes into butterflies. But meanwhile we can just turn the pages of Paul Kor’s clever book for young readers, and read a story in which war simply turns into peace. 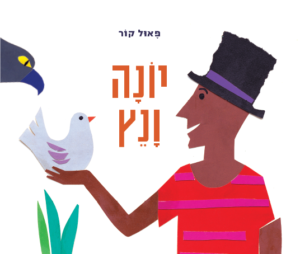 A touching tale about the eternal hope for peace by an award-winning author and illustrator. Hardback / 250 x 205 / 32 pages / Kinneret Publishing.